Many of us love to eat outside our home in hotels and restaurants. But, it costs us a lot of money. If you can save some money from the restaurants’ bills, you can use it for other expenses. It’s better to be a little bit economical. You can buy a lot more food materials with the same amount of money and cook your food at home to save a lot of money at the end of the month. But, this post is not for them. In this post, you will get 5 tips to save money while eating in hotels and restaurants. 1. Search for discounts: Many restaurants attract their customers by providing discounts for limited times. Look for those restaurants where discounts are given. Some other restaurants provide feedback form after the meal. If you fill those, you will get a special discount or a free meal on your next visit. You can also get discounts from any restaurant on your next visit if you arrange a party there. 2. Avoid restaurants on special days: Avoid hotels and restaurants on special days like the Valentines day. On these days, they can ruin your pocket by demanding extra cost for the foods. But, some other restaurants may provide special discounts on those days. Look for those and visit them to save some money. 3. Avoid Extra dishes: When you visit any restaurants, you will get a menu containing many types of foods including starters, drinks, desserts etc. If you want to save money, don’t order these foods. Rather order some healthy foods which will give your body some energy. 4. Plan Online: Internet is a great place to look for discounts and low-cost foods. Research on the nearby restaurants and you will see different prices of the same item in different restaurants. Visit the lowest priced restaurant first. If you are happy with the foods, you can visit the restaurant next time too. If the food is not up to the mark, look for the second lowest priced restaurant online. 5. 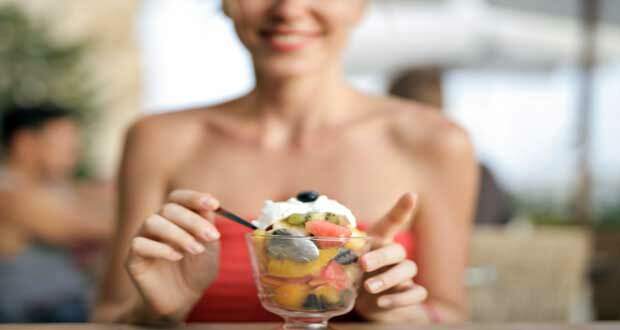 Control your greed: Sometimes, we forget about our health while ordering foods in a restaurant. We order much more foods than our need. It costs more money as well as wastage of the foods. Try to order in steps to avoid this. Order less amount of food and after finishing it, ask yourself, “do I really need more foods?” If your answer is no, ask the waiter for the bill. Don’t waste your precious money. 6. Drink water instead of soft drinks: Soft drinks are carbonated sugar solutions which are dangerous for our health. On the other hand, plain water is helpful for our health. So, prefer plain water instead of soft drinks after finishing your food. It will save some money from your pocket. 7. Check the bill: Check the bill after your meal. Take a look at the price of each and every food before paying the bill. If you see there is an inaccurate price charged in the bill, ask the manager about it. Sometimes, there may be printing mistakes as well as the deliberate act of the owners to charge you extra money during printing bills. You can use discounts (if you have any) during paying bills. Thanks for reading this post regarding 7 Tips To Save Money While Eating In Hotels & Restaurants.